Right click on a division node to add a new asset. User will be asked to give asset a name. Left click an asset node to select it. A right arrow icon will identify it. 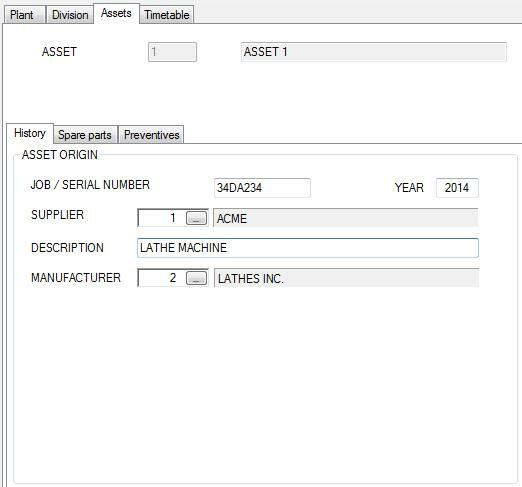 Selecting an asset node will show the relative asset panel on the right and it will be possible to insert asset info.